Skin and soft tissue infections have a high disease burden in children. 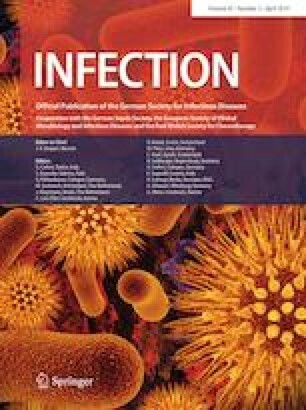 The emergence of multidrug-resistant bacteria over the last decades has heavily influenced hospitalization rates, morbidity and mortality. In addition, with increased survival rates in neonatology and oncology, health-care associated infections are more frequently encountered. There is a growing need for fast and feasible diagnostic tools for the recognition of microorganisms and drug resistances. In this prospective study, we compared results of routine culture with the multiplex PCR based Unyvero Implant and Tissue Infection (ITI) application. Specimens were obtained from different sources from neonates and children. We analyzed specimens from 29 patients (72.4% male) with a median age of 8.1 years (range 0.03–15.2). Concordance between Unyvero ITI and culture was reached in 16 of 29 samples (55.2%). Unyvero ITI yielded an overall sensitivity and specificity of 76.3% and 96.5%, respectively. Accuracies were best for non-fermenting bacteria, for which sensitivity was 100% and specificity 98.2%. Detection rates were lower for Gram-positive bacteria (68.8 and 95.2%, respectively). Unyvero correctly detected one blaOXA−24/40 producing Acinetobacter baumannii, while none of the six gyrA87 had a correlate in antimicrobial susceptibility testing. Unyvero ITI quickly provides additional information relevant for clinical decision-makers. Sensitivity of the PCR must be improved especially for Gram-positive bacteria, and further studies are needed to assess the impact on clinical decision-making and outcome. Children Neonates Skin and soft tissue infections Bite and burn wounds Health-care associated infections Multiplex PCR. The online version of this article ( https://doi.org/10.1007/s15010-018-1192-7) contains supplementary material, which is available to authorized users. We would like to thank Hannelore Zeilhofer, Petra Aydin, Petra Kappel, and Birgit Hanings for excellent technical assistance. Curetis GmbH (Holzgerlingen, Germany) provided the Unyvero system, cartridges, and technical support, but had no role in study design, data collection and analysis, decision to publish, or preparation of the manuscript. This prospective and observational study was reviewed, approved, and declared unobjectionable by the ethic committee of the Ludwig-Maximilians-Universität München (UE Nr. 012–14). The need for informed consent was waived since no additional patient samples were obtained.